RAISING MORE THAN $75,000 FOR LOCAL CHARITY IN ONLY THREE YEARS! DUE TO THE EVENT’S GROWTH, THE 12 BARS OF CHARITY WAS MOVED FROM DOWNTOWN CLAYTON, MO TO DOWNTOWN ST. LOUIS. 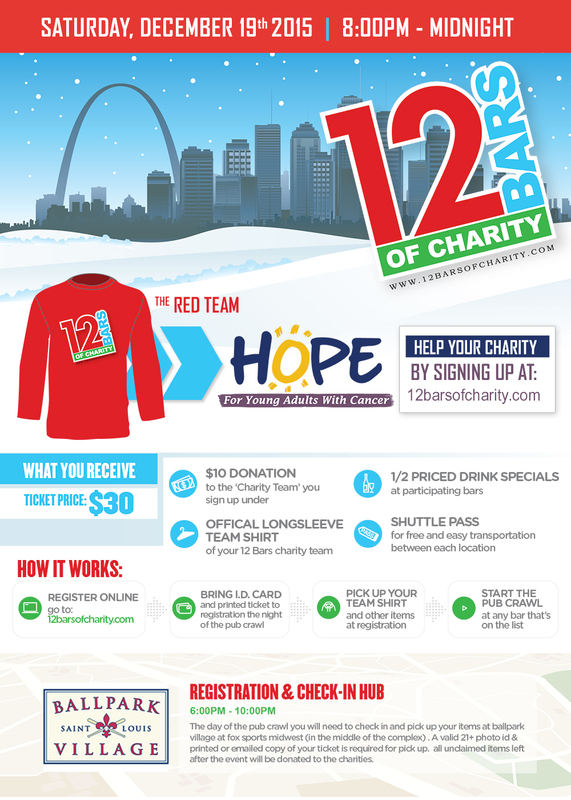 LAST YEAR IN 2014, THE 12 BARS OF CHARITY-ST. LOUIS HAD A RECORD SETTING 2,720 PEOPLE PARTICIPATE AND OVER $28,000 WAS RAISED FOR LOCAL ST. LOUIS CHARITIES!